Isn't that just so lovely? I adore Whisper White with Marina Mist – the two colors when used with a winter motif are just so……frosty. And using the triple time card technique with the depth of the Winter Wonder Textured Impressions Embossing Folder give you that almost 3-D thing going on, without creating a card you can't mail! Just LOOK at that texture! Who knew a triple time card could look so luxurious using just FIVE basic products – Whisper White and Marina Mist card stock, the Winter Wonder folder, the ribbon and the 10 Second Bow Maker! Your cost per card is around $1.00 each! SERIOUSLY? For this card? This triple time card is SO easy, too! In fact, here are the directions! 1. Cut four pieces of whisper White: 1-3/4″ x 1-3/4″; 2-3/4″ x 2-3/4″; 4″ x 5-1/4″ (2). 2. 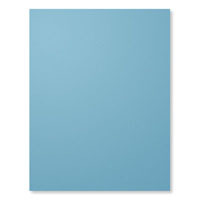 Cut three pieces of Marina Mist: 2″ x 2″ ; 3″ x 3″; 4-1/4″ x 11″. 3. Attach one of your 4″ x 5-1/4″ of Whisper White to the inside of your card. 4. Dry emboss remaining Whisper White pieces centering them in the middle of the snowflake on your embossing folder. 5. Layer together as shown. 6. Tie a bow using your 10 Second Bow Maker. 7. 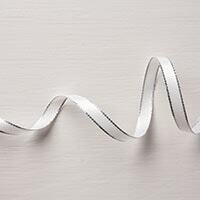 Attach ribbon as shown and stand back and admire your work! Here are links to the four things you will need to order to make about 40 of these cards – it doesn't get much better than this! Dumb question — do you emboss the three layers at the same time or do each layer separately? Not dumb at all Donna! Each layer individually! Megan, this card is Simply Beautiful! Did you emboss each layer separately? and how did you get everything so perfect?